Cecil Baden Powell Boles was born in Kiama, N.S.W. on 1 May 1900. Cecil first enlisted at Coffs Harbour, N.S.W. on 21 January 1916. He stated his age as 18 years, and he was intially assigned to the 36th Battalion. However on 31 March 1916 Cecil was 'discharged unlikely to become an efficient soldier'. On 24 May 1918 Cecil enlisted for a second time and was assigned the Service No 6975. At this time Cecil listed his age correctly - 18 years - and named his mother Louisa as his next of kin. Cecil's father had also written a letter giving his son permission to enlist. It would appear that Cecil was never deployed overseas, and only records from the National Archives of Australia (NAA) exist for Cecil. 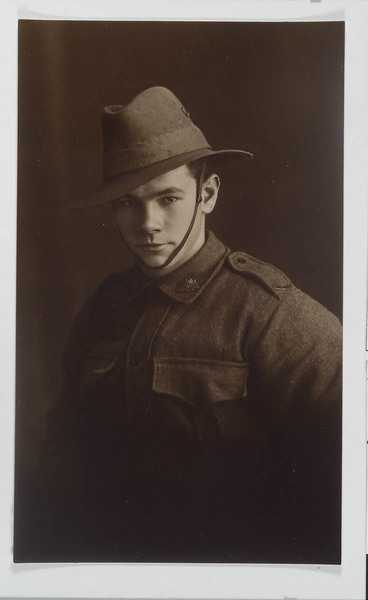 He was discharged from the Army on 31 December 1918 shortly after the end of the war.